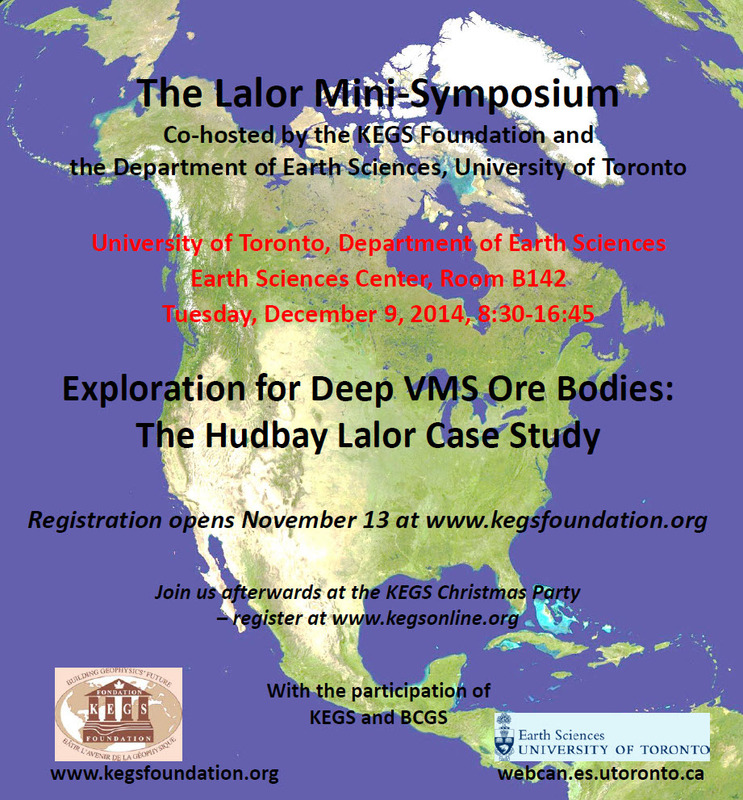 The KEGS Foundation and the Department of Earth Sciences at the University of Toronto are co-hosting a mini-symposium, entitled Exploration for Deep VMS Ore Bodies: The Hudbay Lalor Case Study. Although not a TGDG event, the committee feels this event will be of interest to many of our members. The mini-symposium will be followed by the annual KEGS Christmas Party. For more details, and to register, please visit www.kegsfoundation.org.